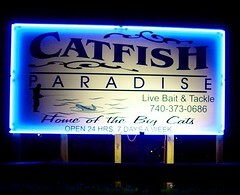 Catfish Paradise, located outside Belpre Ohio just off State Rt 7 stocked more than 14,000 pounds of huge cats in 2007. 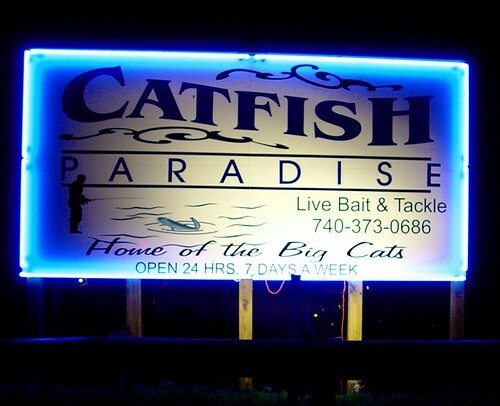 Recommendations: Bring heavy lines and poles to catch these really big cats! This small 'paylake' is just off the county road that takes me to my son's house. Generally, paylakes are stocked heavily with catfish. Some paylakes stock other species and most have carp. Catfish in these lake range from five pounds all the way to 100 pounds or more.